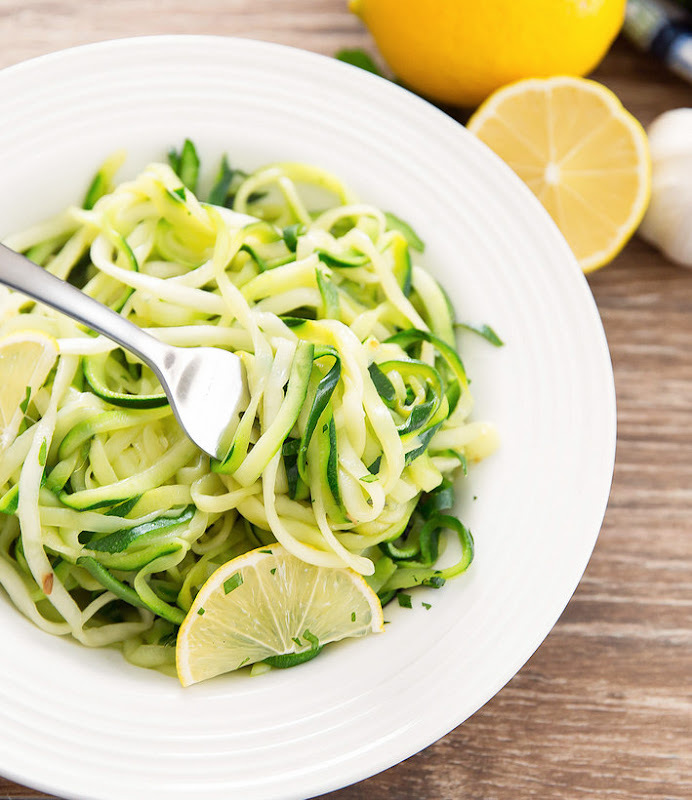 Zucchini noodles are tossed in a simple garlic and lemon herb sauce for a very light and easy dish. After nearly two weeks of indulging on holiday foods, today was back to business and an attempt to eat healthy again. 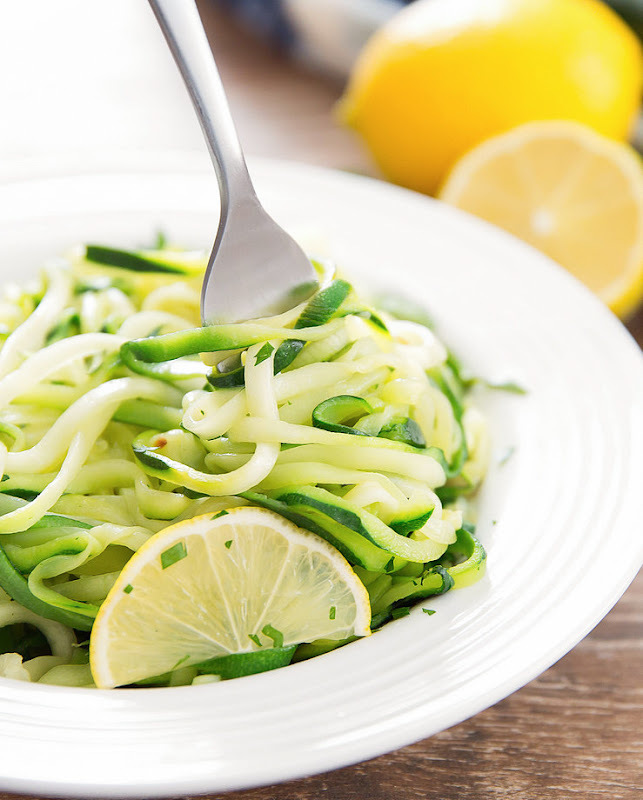 I love zucchini noodles, so I actually look forward to lunch meals like this. The problem is, after all those extra calories, my stomach kept saying “That’s it? Where’s the rest of the food?” I’m not kidding when I say there was a lot of indulging these last two weeks. There was one day where all I ate was cookies. Hopefully a few more meals like this will get my stomach readjusted. 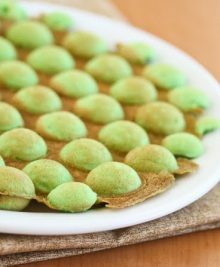 It was fun to whip out my vegetable spiralizer* again. I don’t think I ever get sick of seeing the long spirals of vegetable noodles. Herbs and lemon are always a great way to add flavor to dishes without adding too many calories, carbohydrates or sodium. I did a very simple sauce of olive oil, lemon, garlic, parsley and salt, which the noodles are coated in to add flavor to them. 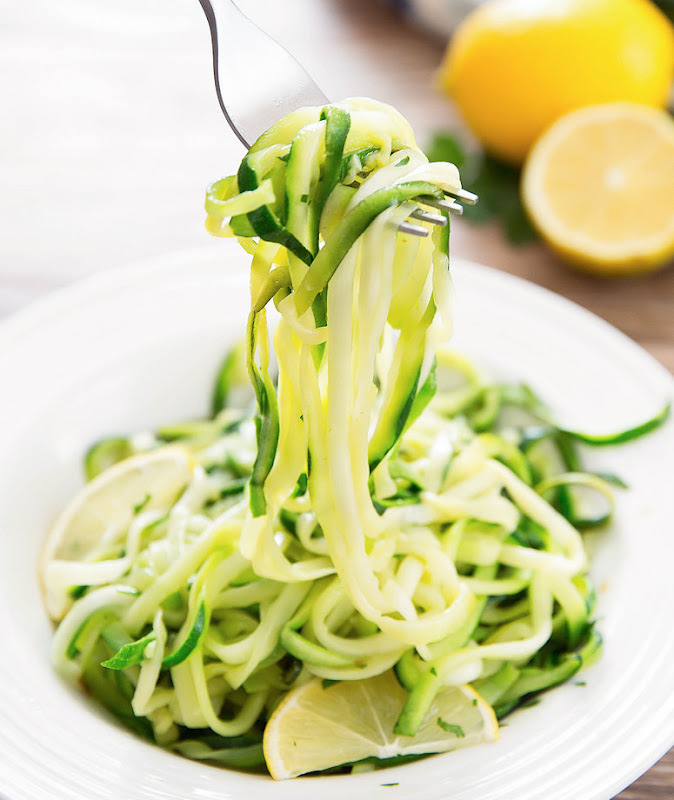 Zucchini noodles tossed in a simple garlic and lemon herb sauce is a very light and easy dish. In a small saucepan over the stove on low heat, add garlic and oil. Cook until garlic is lightly browned. Squeeze and mix in juice from half a lemon and parsley. Taste and add salt as needed. 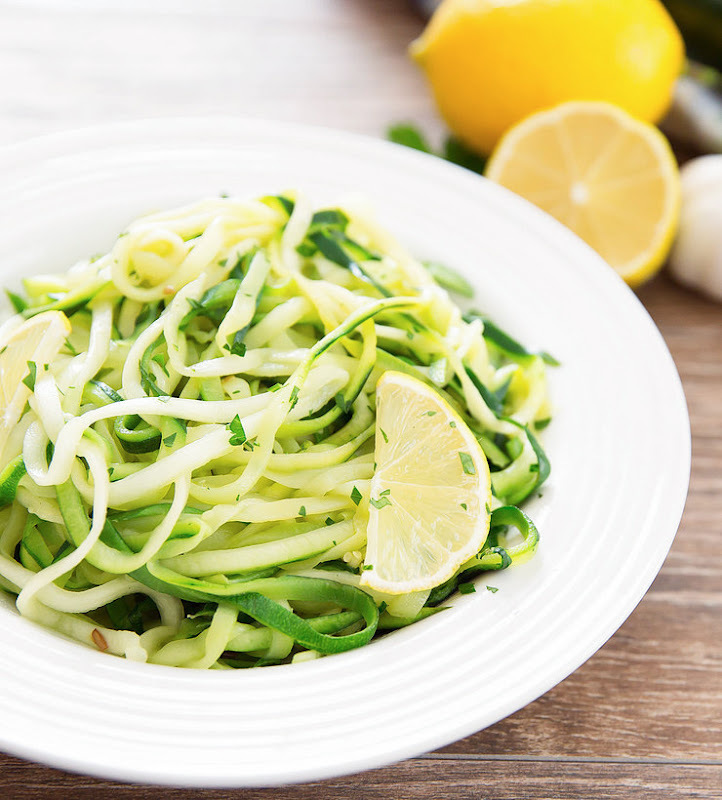 In a large pan over medium-high heat, add zucchini noodles and cook until zucchini is just tender, stirring as needed so that all the zucchini cooks evenly. To make this dish healthier, you don't need to add any oil while cooking the zucchini. 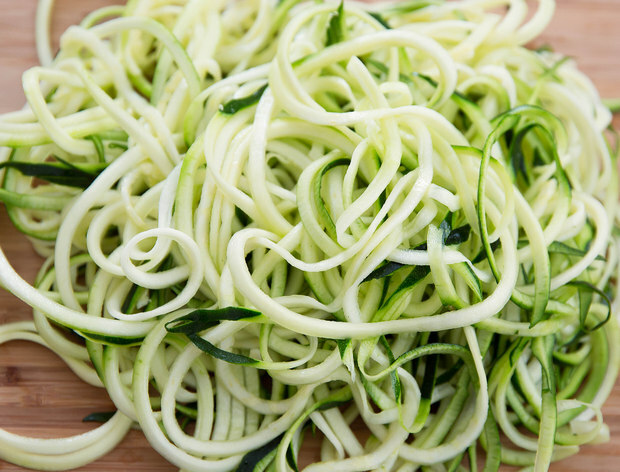 Drain any water produced from zucchini noodles from pan. 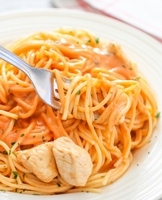 Add in sauce and toss until noodles are evenly coated. Squeeze remaining lemon half over noodles. Serve immediately. Now I need to find my spiralizer. I love the mushroom-shaped pip that remains after turning a zucchini into noodles, but I never know what to do with it. How are the noodles the next day? Did they release anymore liquids? I’ve never had any leftovers for the next day, but I imagine they would release a little more liquid. Oh my! 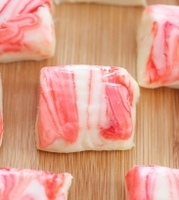 So easy and delicious looking! I’m going to add some shrimp to the saute pan and make it a whole meal for the family! Can’t wait!! Anyone know how long to actually cook these noodles for? it takes just a few minutes to cook the zucchini. It’s hard to give an exact time because it will depend on how high your heat is, how thick/thin your spirals, etc. You’ll see the zucchini change color slightly when it’s cooked and you can taste one to see if it’s cooked. Oh wow, you are so kind! I have a lot of other zoodle recipes; I hope you get to try them out! 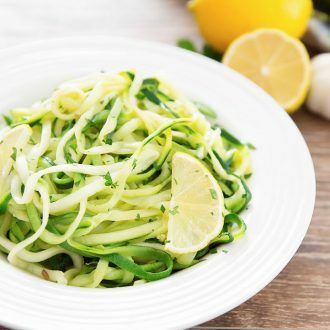 I do this noodle dish but grate lemon zest, small clove of garlic and lemon juice…..don’t bother to cook the courgette (yes i’m English) the lemon juice will do that for you. Its delicious and clean tasting. Great with a simple pasta sauce. thank you for sharing your version! Can u use the bagged zucchini already shredded? Where are the carbs and sugar listed in the nutritional information? carbs and sugar are inside the nutrition label provided.